I must confess that as he told me, I LAUGHED inside. Ha! Do you know what most teenagers are into these days? Do you know what I did when I was 14? (OK, Really, it was ALL my brother!) My son is not perfect, believe me, but “sorry because I stayed up reading”? Really? Is that an offense in the Brady house? Oh sinner! Haha! Next, are you going to over-indulge on vegetables? LOL!!! I should tell him: He is acting like a geek, a nerd. This could be painful in front of peers. They could tease him. He needs to know that 10:08 is close enough. I mean, it didn’t even inconvenience me. It wasn’t bad compared to his peers. says that even 10:08 requires an apology. According to Paul David Tripp in The Age of Opportunity, our goal as parents of teenagers isn’t to build fences in which our kids stay, but to teach principles that they will use to guide creation of their own fences in life. God provided “fences” in the Ten Commandments which are amazing at protecting us. I thank God that my son had his own fences, from Exodus Chapter 20, and not the ones I almost botched with my less-than-Godly standard. I have heard it said, “There is no softer pillow than a clear conscience,” and there’s no clear conscience without admitting wrong- and asking forgiveness (Acts 3:19). My 6-yr-old as well as the elderly man in the examples above knew it. Maybe we each know it deep down- that the little things do matter in the really BIG picture (Heb 10:16-17). P.S. Let’s say a prayer for Casey now, because we know how attacks come to those who represent God, especially when light has been shed on the behavior. This entry was posted in Motherhood, Personal Growth, Rooted in Faith, Sister to Sister, Uncategorized and tagged Chris Brady, Holger Spiewak, Jim Martin, Life, Life Business, Mark Haas, Orrin Woodward, Team, Tim Marks by Terri. Bookmark the permalink. What an awesome young man you have!!! I love this new vocabulary you are sharing with all of us…”let go of the basket”…”uncover the 10:08s”!! Thanks so much for your willingness to be so transparent, GF. What you share so beautifully reflects what many have experienced, are experiencing or are going to experience. Thank you for your faithfulness to God and your faithfulness to applying Scripture to your life, home and various roles. Thank you for your willingness to be used mightily by Him! I am just beginning to discover that all the truths I have learned from various sources through my life actually come from the Bible. And, I’m beginning to see, through good illustrations of how Scripture translates to ‘real life’, that the truths and guidelines that I have yet to find are also in there! Thank you so much for taking the time and care to share with us. You have done such a wonderful job with your children. I hope to be half the mom that you are someday. His pure innocence and honesty brings a smile to my face. God bless, and thanks for sharing! So true . . . so honest . . . so transparent. I love that about you! Keep on writing the experiences of your lifetime—others will learn, share, and be blessed in return. Thank you so much for contributing to the topic of honesty! It is been an issue with our children lately so it’s been a struggle to know whether or not I am handling “it” appropriately. I say issue with our children, but throughout this God has been revealing my own “10:08’s” and how convicting (and super humbling)! I am reminded daily that one of the most influential examples of honesty and personal integrity my children can witness is from the woman preaching it! I am learning that through the power of the Holy Spirit I can change my character flaws. Thank you for this post, your talk at the major & your amazing parenting audios!!! What a blessing you are to so many families! Great insight Ms. Terri! The principle was at issue, not the “offense”. Set a standard to live by and the greatest “offense” you will experience are one’s such as these. 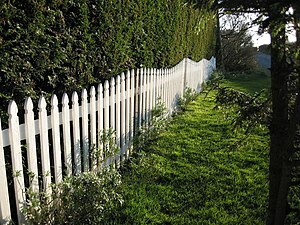 Give an inch and overlook the lesson or habit you are working to serve as a fencepost for joyful living and you have a crooked fence. You are a wonderful mother, friend and teacher to many. I surely do appreciate the color of your comments and the vantage point of being a fly on the wall of your home. It is a great big pasture of love, lined with a fence line we can ALL depend on. Thanks so much for sharing this. It is a powerful example for all of us who have influence as parents, but also in general. I am learning to live life by the principles, and the word is where that all starts. I truly appreciate your insights and am excited to have found your blog! I love your posts because it helps me choose the right path. I paraphrase this saying “A crooked line doesn’t know it’s crooked until it’s sees a straight line”. I have this tendency to soften the sin and apply a double standard to the guideline. I too need to ask God’s forgiveness for the many 10:08’s that I have and realize that it’s the principle not the “offense” that is the issue, as one commenter mentioned. It also reminds me of a Bible text “You can either be black or white but not grey”. I thank you and your family for being a guiding light! I want you to know how truly grateful I am to have found you and this group of people. I have two sons, and I worried endlessly that I would not be good enough to raise men in this world. How can I learn all that I need to? What do I need to do? How do I combat this world we live in? These answers are easy for some people, but they weighed heavily on me. But then I met a person who knew a person who took me places and introduced me to books that have stood tested, and witnessed stories of children like yours, and I know that with role models like you in my life, my boys have a fighting chance in this world – because I am learning to be a better person and mother, and I can help them find the good, true, honest path through this world. Thank you, from the bottom of my heart, for everything you do and all that you are willing to share. Hearing all of your stories about your kids makes me so excited to have children of my own. Through watching all of the leading ladies on the team i went from telling my fiance i want no kids, to wanting two of my own and adopting two also. You are such an amazing lady Terri! I love how you teach through stories, its a lot easier for me to understand seeing as im only 19. Have an amazing day!